This Guide to Christmas in Europe presents a gift-wrapped selection of European Christmas markets and last-minute shopping tips and ideas for unique gifts. My first experience of a traditional Christmas Market on mainland Europe was when I lived in Montreux (Switzerland), in 1996. I had been skiing over Christmas in Switzerland, France and Italy before that but I don’t seem to remember much of a fuss being made about the Christmas markets during Advent in those days. Perhaps because we were in such a rush to test the snow on the ski slopes and hit the apres-ski bars; before they closed for midnight mass, on Christmas Eve. If you could have one Christmas wish, what would it be? 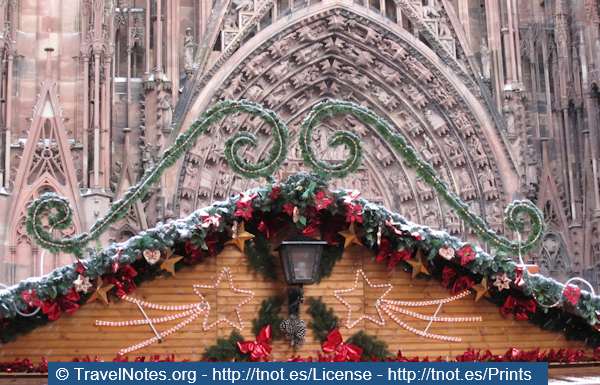 I took the photo above in Strasbourg, six years ago; when we had snow in Europe before Christmas. Christmas in Europe seems to start in November; even if it may be hard to get in the Christmas spirit when it’s too warm for the birds to think about flying south and the ground outside is still spring green. While you might think that all Christmas markets would be open during Christmas, quite often the opposite is true. Some markets might only be open for a few days; in late November. Others, including ones like Bratislava, tend to wind down for Christmas Eve – so that people can get home to their families, or dress up for church. 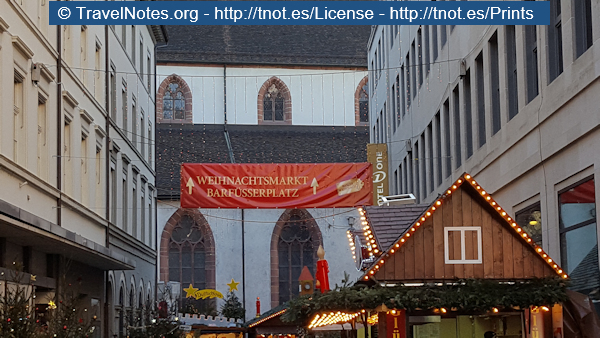 I think the atmosphere of a Christmas market is better when you visit one in December, possibly on or after December 6th – the celebration of St. Nikolaus (the day St. Nicholas died in AD 342). 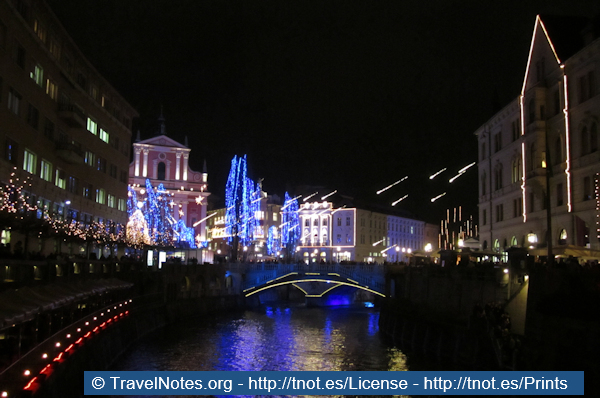 In 2009, I was pleasantly surprised to find a Christmas market – along the river in Ljubljana – still in full flow; on New Year’s Eve. If you like the taste of Gluhwein and the smell of roasted chestnuts on a cold winter’s evening, then you’ll love the Christmas market atmosphere; the glittering lights in historic city centres beckoning you to the wooden stalls offering a wide range of artefacts and local produce. Make a bulk purchase of regional hams and salamis and you could get a bottle of Schnapps thrown in. This was the scene on November 20th (2016) as Augsburg was getting ready to open it’s Christkindlesmarkt, the following day. There are a number of Christmas markets in and around Amsterdam. The Haarlem Christmas Market takes place on the weekend of 10th and 11th December and the Westergasfabriek Funky Xmas Market on the 11th. A vintage Christmas experience in Alkmaar also competes for your attention on the same weekend. Located on the marketplace in front of the Augsburg town hall, the Christmas market in Augsburg is one of Germany’s oldest. 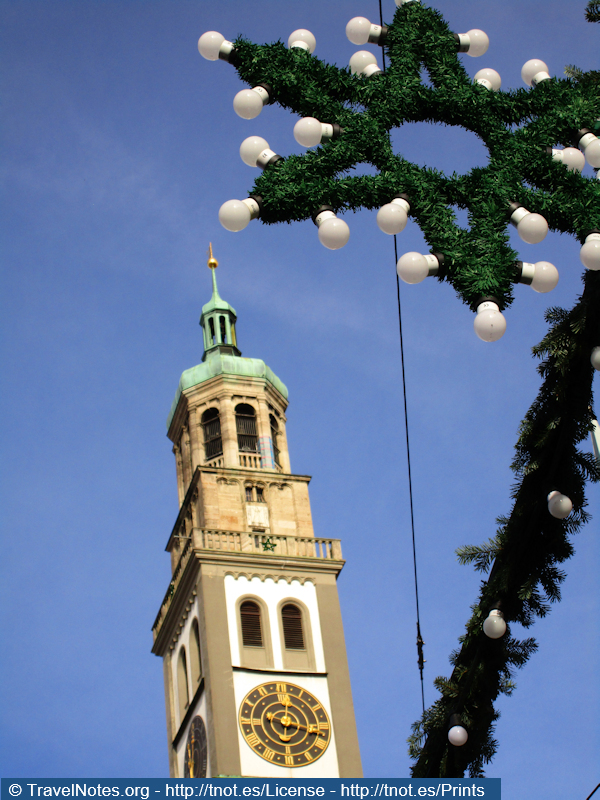 As well as the specialities found at other Bavarian markets, Augsburg is also famous for its Angel play and advent calendar. The Baden-Baden Christmas market spreads out in front of the Kurhaus Colonnades. Visit if you feel like a little spin on the roulette wheel while you’re at it. Located along the Avenida de la Catedral, the Fira de Santa Llucia has been a Christmas tradition in Barcelona since 1786. Also visit the Christmas is Holy Experience at Sagrada Familia – from 6pm to 8pm on 21st, 22nd and 23rd December, 2016. Germany’s capital is home to some 60 Christmas markets; ranging from traditional markets, with handicraft and nativity scene, to extraordinary ones, with ice skating rink and Ferris wheel. Visit Berlin even puts out a special PDF document to list all the various opening times with links to individual Christmas markets around Berlin. The first time we stayed in Bratislava at Christmas, the Radisson Blu Carlton Hotel (close to the US Embassy) offered visitors an amazing festive deal. Even today, if you can get a double room here for €85 or under, take it! The collection of stalls outside the hotel is not the main Christmas market, for that you’ll need to walk up to Hlavne namestie (Main Square). It’s not far. That’s the beauty of Bratislava, its much smaller than Prague or Vienna and has a very cosy feel. 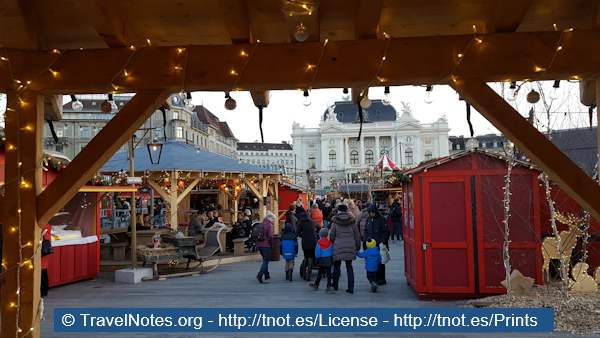 Experience the ‘Pleasures of Winter’ (Plaisirs d’Hiver/Winter Pret) in Belgium’s capital, where some 240 chalets await you; between the ice rink at the fish market (Marche aux Poissons) to Place Sainte Catherine. Use metro stations Bourse or Ste Catherine. Located on Vorosmarty ter (square), I was lucky enough to visit the Budapest Christmas Fair ten years ago and thoroughly enjoyed it. The nice thing here is the performances of Hungarian folk music with folk dancers clothed in colourful, traditional dress. Not to mention the spicy sausages oozing grease. The timber-framed houses in Colmar are divine any time of year but once the lights and Christmas decorations get added you really do have the Magic of Noel glittering all around you. Cologne has a number of Christmas markets to choose from. Although Neumarkt is the scene of Koln’s oldest Christmas market, Alter Markt – in front of Cologne’s town hall – is probably the city’s most attractive. Cologne’s Cathedral is the scene for another Christmas market; or you can try the Harbour Christmas Market, overlooking the Rhine. 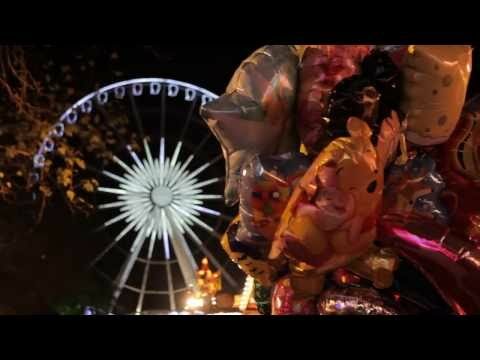 Visitors to Copenhagen shouldn’t miss the Tivoli Illuminations. You can then move on to a number of other Christmas markets around wonderful Copenhagen. If you’re looking for a quiet, romantic Christmas atmosphere then Ceske Krumlov could be the place. 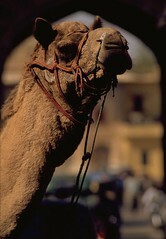 The old medieval-style market comes to life on Advent weekends; in a slow-moving, appealing way. 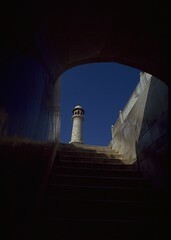 Don’t miss out on a walk up around the castle; added to the list of UNESCO World Cultural Heritage Monuments in 1992. Dating from 1434, Dresden’s Striezelmarkt (named after the bread-like sweetcake made around Christmas time) is the oldest Christmas market in Germany; celebrating its 582nd anniversary in 2016. The Dresden Frauenkirche has been completely renovated since we last visited Dresden, so enjoy the sightseeing too. This is the time of year when Germany’s financial centre takes its mind off the money markets. Standing in Frankfurt’s Paulsplatz, the Christmas tree seems to tower above the surrounding facades. Look back down again and start seeking out those special Christmas gifts. 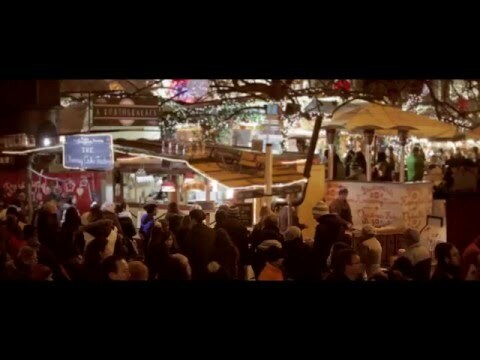 Frankfurt’s Christmas market is set in the oldest part of the city, near the Romerberg. Specialities include Brenten (almond cookies), Bethmannchen (marzipan balls), and Quetschenmannchen (prune figures). I’d probably put the Innsbruck Christmas market in third place; behind Vienna and Salzburg but if you’re in Tyrol (or Tirol, as the Austrians say) then I’m sure you won’t be disappointed. The Golden Roof seems to attract visitors like a magnet, and that’s where you’ll find the main Innsbruck Christmas market. There are also Christmas markets at Marktplatz and along the main shopping street of Maria-Theresien-Strasse. The Weihnachtsmarkt am See might not rank in the premier league of German Christmas markets but if you’re in the Lake Constance (Bodensee) area it’s pleasant enough; stretching as it does from the main square, under the main road that leads to the train station, and out onto an area around the lake. If you fancy a Polish Christmas, Krakow’s Rynek (main square) is the place to go; although some might prefer the smaller Wroclaw at Christmas (Nov 18 to Dec 22). Being just an Eurostar ride away from London St Pancras, Lille is popular with visiting Brits. Be sure you don’t arrive too late or you’ll have to sit at a restaurant and look at the spinning Big Wheel that you’ve probably seen so many pictures of, as the nearby wooden chalets on Place Rihour close at 8pm during the week. If you can get a room at the Grand Hotel Union Ljubljana you’re perfectly placed to enjoy a stroll along the Ljubjanica river in the centre of the town; where the Ljubljana Festive Fair is located. The abundance of blue lights in the old town make for a different feel to your night photography. Once the Regents Street Christmas lights are turned on in November it’s hoped that the tills keep ringing all the way in to the New Year. Hyde Park’s Winter Wonderland returns to London for the 10th year. An UNESCO World Heritage site, Lubeck’s Christmas market was first mentioned in historical documents way back in 1648. Today the city markets itself as the ‘Christmas Capital of Northern Germany’. 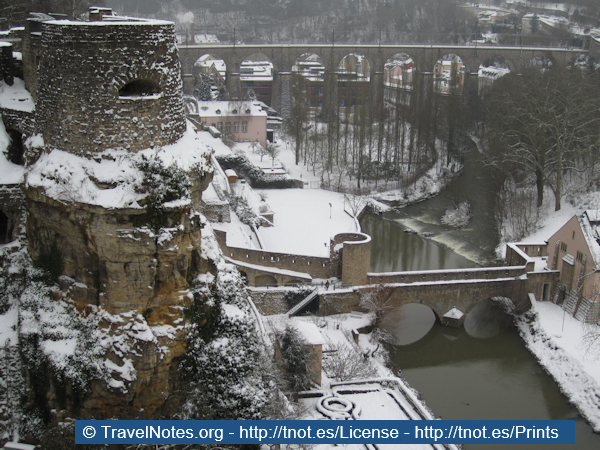 The Christmas we spent in Luxembourg couldn’t have been more picture perfect. 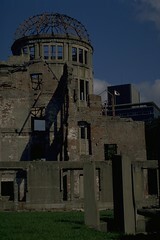 Strolling around the old city after breakfast, it felt like we had the whole UNESCO World Heritage Site to ourselves. During the Winterlights Festival, Luxembourg’s Christmas markets can be found on Place de la Constitution, Place d’Armes (Chreschtmaart) and Place de Paris (Marche Saint-Nicolas). The markets close at 5pm on Christmas Eve. 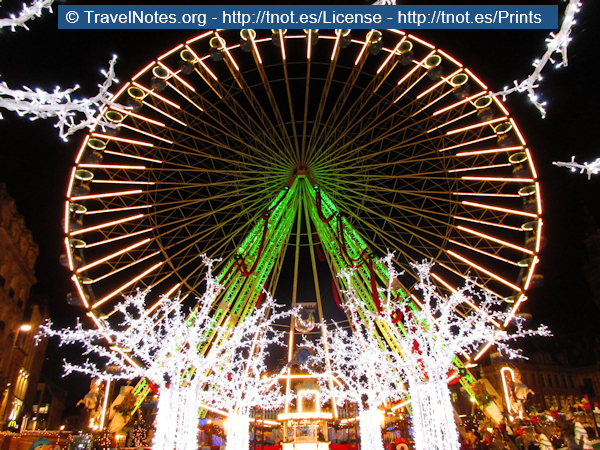 There are a number of Christmas Markets in Metz but the main Festive Fair takes place around Place St Louis. The Marche Gourmande (Nov 19 to Dec 28) is located north of the Cathedral. We stayed at the 4-star La Citadelle MGallery by Sofitel, close to the Chapelle des Templiers. If you want to eat at the hotel restaurant, you meed need to reserve a table in advance though; especially during the build up to Christmas. Le Republicain Lorrain publishes a full listing Marches de Noel in and around Metz. Having lived in Montreux for a while, with a stunning view of Lac Leman (Lake Geneva), I still have a soft spot for the French-speaking region of Switzerland. The Christmas market in Montreux has expanded since I had my first experience of Montreux Noel and there’s now a weekend Medieval Market at nearby Chateau de Chillon (Dec 03 to Dec 18). 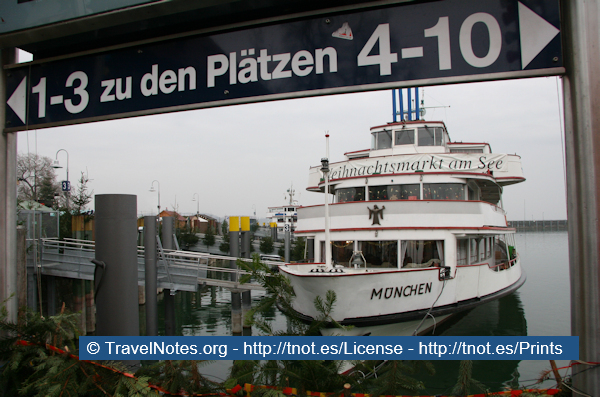 Munich’s traditional Christmas Market is held on and around the Marienplatz. Originally called the Nicholas Market, the festive tradition dates back to the 14th century. The town’s annals first mention Christmas activity near the Frauenkirche (Church of our Lady) in 1642. 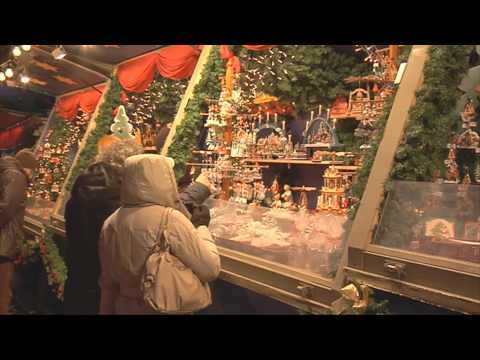 The Neuhauser Strasse Christmas manger market is also worth a visit. Although the main Munich Christmas Market spreads out from the Town Hall, there are plenty of other Christmas markets around Munich to choose from. If you really want to visit a Christmas market in Alsace and the hotel rooms in Strasbourg and Colmar are either fully booked or too expensive, then you might want to consider Mulhouse as an alternative. 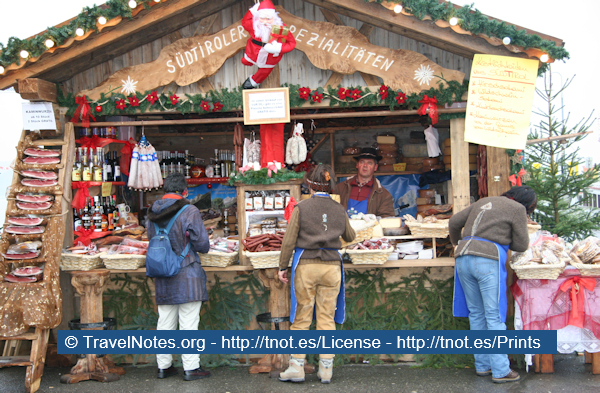 Some of the villages around South Alsace only have a Christmas market for a day or two; many competing with each other on the same day. As the Patron Saint of Lorraine, Saint Nicholas is afforded a special parade and celebrations on Place Stanislas (above), during the first weekend of December. 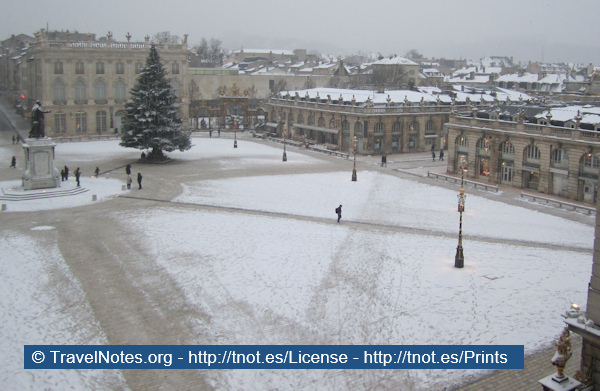 Nancy’s main Christmas market is held around place Maginot. The famous Nurnberger Christkindlesmarkt is located on the Nurnberger Hauptmarkt (main market square). While the earliest Christmas market was held here in 1628 and some two million visitors are attracted to Nuremberg’s Christmas market annually, it is neither the oldest nor largest Christmas market in Germany. From Champs-Elysees to Montparnasse; La Defense to Saint-Germain-des-Pres, the Alsace-influenced wooden chalets spring up around the capital of France. 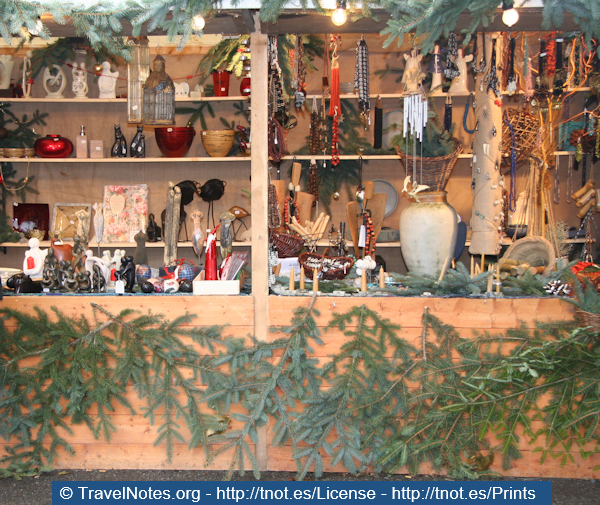 The Christmas markets in Prague are centred around the Old Town and Wenceslas Squares. In the last few days before Christmas you’ll probably see plenty of live carp for sale; as it’s tradition to eat the fish on Christmas Eve. The Mercatino di Natale e Festa della Befana (Italy’s good witch who gives Italian children presents on Epiphany – 6th January) takes place around Rome’s Piazza Navona. When in Rome, you’re also at the home of the Christmas Eve Mass (Solemnity of the Lord’s Birth) – at the Vatican. The medieval setting in the walled city of Rothenburg makes the Reiterlesmarkt a special event for those who like to feel as though they’re stepping back in time. 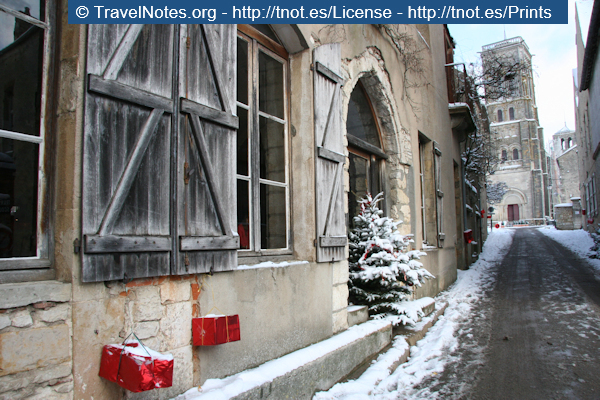 The German Christmas Museum is also located in Rothenburg; a glittering place to visit any time of the year. Although Salzburg’s Christkindlmarkt on Cathedral Square is the main event there are plenty more Christmas markets in and around Salzburg to keep you feeling festive for well over a month. Be sure not to miss the Advent market in the courtyard of Hohensalzburg Fortress (up on the hill) or the Christmas Market down on Mirabell Square. 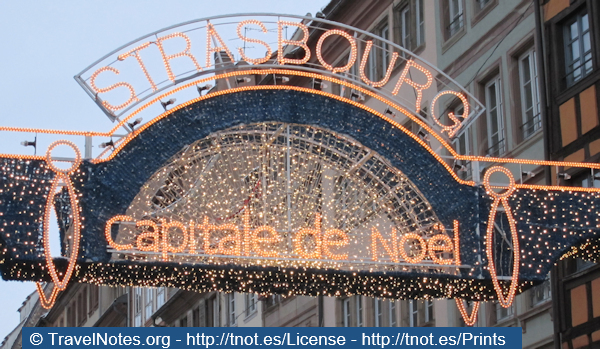 Marketed as the ‘Capital of Christmas’, Strasbourg staged its first Marche de Noel in 1570 – making it the oldest in France – and now boasts eleven Christmas markets to choose from. The Christmas market in Strasbourg (Alsace) is so popular that coach tours are even organised from Switzerland and hotels seem booked out months in advance. Although a seemingly modern metropolis in southern Germany, Stuttgart’s Christmas market tradition still goes back over three hundred years. Estonia’s Christmas tradition is celebrated around the huts radiating out from the country’s tallest Christmas tree, on Town Hall Square. On December 17th and 18th the Christmas Village, at the Estonian Open Air Museum, shares the story of an Estonian village from a century ago. Billed as the ‘Christmas City of Finland’, Turku’s Christmas Markets are located in the Old Great Square and Market Square. If you have to work over Christmas you might be pleased to know that the Christmas atmosphere continues in Turku right up to St. Knut’s Day, on the 13th of January. While first stop might be the traditional Christmas market in front of Vienna’s City Hall, you’ll also want to visit the Christmas Market at Schonbrunn Palace, the Old Viennese Christmas Market (Altwiener Christkindlmarkt) at Freyung (they’ve held a Christmas market here since 1772), and the picturesque setting for a Christmas market at Spittelberg. Located in the Franconia region of Northern Bavaria, this romantic setting might be a little off the beaten track for most people, but that’s what’s makes a winter visit along the Romantische Strasse (Romantic Road) so appealing. 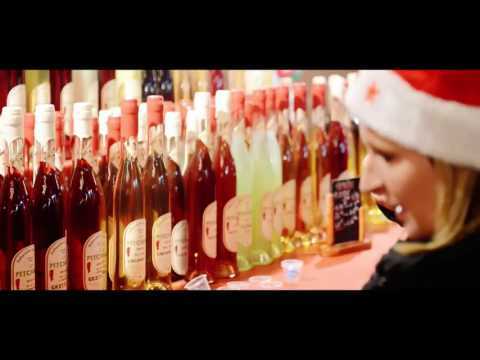 The capital of Croatia holds its traditional Christmas Fair in the streets surrounding Jelacic Square. If you arrive in Zurich by train you’ll be greeted by Europe’s largest indoor Christmas market. Stroll out along Bahnhofstrasse for some elegant Christmas shopping under dripping lights, then cross the Limmat for a little romantic Christmas atmosphere in Niederdorfstrasse; as you make your way up to Bellevue and the Wienachtsdorf at Sechselautenplatz, in front of the Opera. On December 6th, many restaurants put out bowls of nuts, oranges and chocolates for their customers. The Christmas market itself is not as big an event as in neighbouring Germany, Austria or France but many places do have smaller markets that run for a few days. 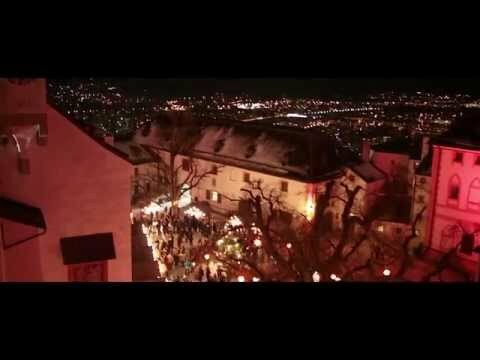 With Montreux and Zurich already listed, other notable Christmas markets in Switzerland can be found in Basel (the largest Christmas market in Switzerland – Nov 24 to Dec 23), Bern (Dec 03-24), Geneva (holds a number of marches de Noel around the city), Lucerne (Luzerner Christkindlimarkt) and St. Gallen. A number of smaller towns also hold shorter events, but they really do need a sprinkling of snow (seriously lacking this year) to give them a romantic, Yuletide feel. If you travel in Europe around Christmas you’ll probably stumble on at least one Christmas market without expecting to, or maybe just a row of empty wooden huts. If you intend to visit one of the more famous Christmas markets, be prepared to pay inflated hotel prices; if the hotel rooms aren’t already fully booked. 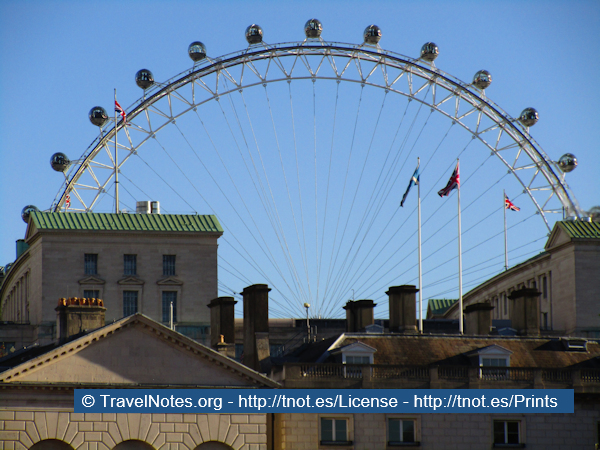 Another option is to stay somewhere else, then travel in to the Christmas market and experience its unique atmosphere for a day. At various Christmas markets around Europe I’ve seen many pleasant displays of arts and crafts with artisans busily creating new items before my eyes; smelt various aromas of regional produce being cooked under my nose; drank all sorts of fruity, spicy and very tasty variations of mulled wine (Gluhwein in German or Vin Chaud in French); heard the sweet sound of innocent choral voices in a variety of foreign tongues; felt snowflakes touch my rosy cheeks before silently melting away; and bought some truly original gifts for loved ones. 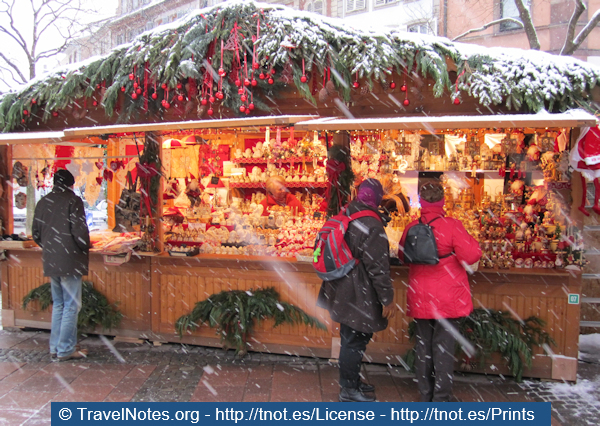 I hope this inspires you to visit a Christmas market or two on your travels. Although I have written a number of Christmas Market articles over the years, this piece has been expanded with new images, and may not be reproduced anywhere else online or in print media without permission. Links and social media shares are welcomed and even encouraged, if you think it will interest your family and friends. And to play you out…. 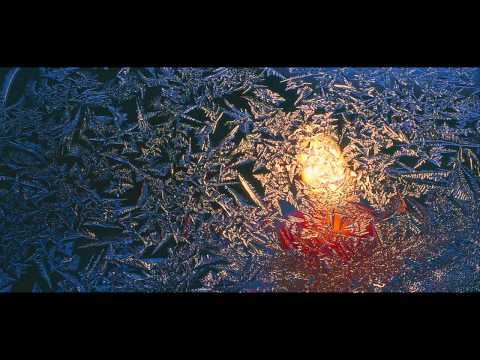 here’s a nice little Christmas compilation. What’s your favourite Christmas song? 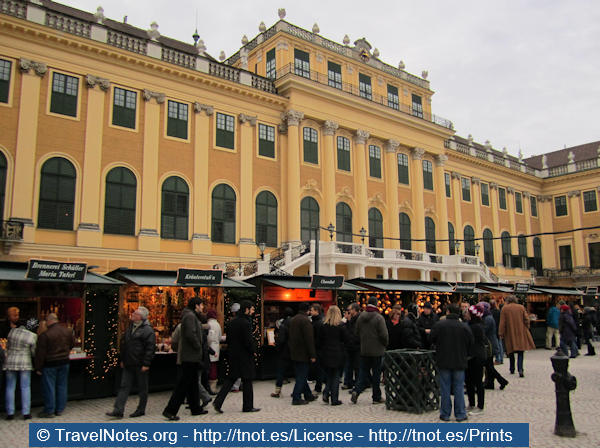 Travel Photography Prints and Image Licensing Rights are available to online buyers. 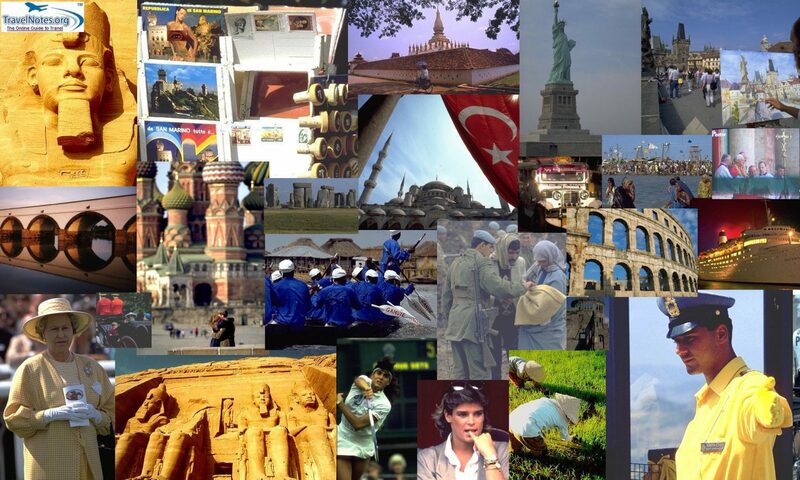 Michel Guntern - Travel Writer, Photographer and Founder of TravelNotes.org Online Guide to Travel - has visited some 120 countries, over 220 UNESCO World Heritage Sites and more than 100 World Heritage Cities. Reflections in Modena, Italy - Travel Photography by @TravelNotesPhotos While it's the Cathedral (Duomo), Torre Civica and Piazza Grande that interest #UNESCO a visit to #Modena wouldn't be complete without purchasing some Aceto Balsamico Tradizionale and other regional products. Modena is located on the south side of the Po Valley, in the Province of Modena and the Emilia-Romagna region of Italy. #ilikeitaly #loveitaly #PrettyLittleItaly #flipitaly #italy_vacations #EmiliaRomagna #shot_italia #reflections #neverstopexploring #ig_italy #italian_places #italymagazine #travel #instatravel #travelgram #TravelNotesPhotos available on #EyeEm, #Picfair and #FineArtAmerica. Around The World in 80 Clicks - Travel Photography by @TravelNotesPhotos Some of you may have noticed we've been updating the Travel Photography section on Travel Notes to add a little back story to the pictures and map the locations. Which one is your favourite and why? #travel #travelphotography #travelnotes #travelnotesphotos #travelphotos #TravelAwesome #LoveTheWorld #BBCTravel #instatravel #travelgram #LetsGoEverywhere #LiveTravelChannel #bestcitybreaks #earthpix #oneplanet #TheGlobeWanderer #worldnomads #LifeWellTravelled #IamATraveler #gothere #WorldWithoutBorders #YourShotPhotographer #UNESCO #sightseeing #tourism #travelpics available on #EyeEm, #Picfair and #FineArtAmerica. Machu Picchu, Peru - Travel Photography by @TravelNotesPhotos Machu Picchu is a South American Icon. Looking at the ruins of the historic Inca site at #MachuPicchu (old peak), #Peru framed through a large stone window. Huge steps lead the eye down to a green carpet of grass within the abandoned city, with #HuaynaPicchu Mountain - the small #sugarloaf shape - in the background. Located above the Urubamba River valley, at 2,430 metres above sea level, this 15th century estate was built for the #Inca emperor Pachacuti, in the classical Inca style of polished dry-stone walls. Most of the outlying buildings have been reconstructed to help tourists get a better picture of how they originally appeared. Declared a #Peruvian Historic Sanctuary in 1981 and a #UNESCO World Heritage Site in 1983, Machu Picchu was voted one of the New #SevenWonders of the World in a 2007 Internet poll. One of the most classic views across the whole of #LatinAmerica, my photo of this UNESCO World Heritage Site was first published in the Peru #travel guide by #InsightGuides. #VisitSouthAmerica #DiscoverSouthAmerica #wu_southamerica #ig_masterpiece #instatravel #travelphotography #TravelNotesPhotos #exploretocreate #travelnotes #travelphotos #IgersPeru #ExperiencePeru #PeruTheRichestCountry #PerúPaísMásRico #traveltheworld #travelpics available on #EyeEm, #Picfair and #FineArtAmerica. Vietnamese Street Food. Travel Photography by @TravelNotesPhotos One of the most authentic ways to explore a place on our travels is to taste the regional cuisine and enjoy a meal with the locals. Communal eating and sharing #streetfood in #Hanoi, Vietnam is one of the real pleasures of Asian #budgettravel. The plastic stools are small and close to the ground. The pot of #Pho, or noodle soup, is steaming hot and right up close to the customer's face. If you don't like tourist traps, you will ignore where the tourist guide recommends and just sit down to enjoy an authentic cultural experience with the locals slurping at their bowls with chopsticks in hand. This meal is cheap, tasty and on the menu all day. #Vietnam #travel #visitvietnam #instavietnam #vietnamtravel #vietnamese #travelphotography #streetphotographer #roamtheplanet #streetphotography #asiatravel #travelasia #travelnotes #TravelNotesPhotos #travelphotos #travelpics available on #EyeEm, #Picfair and #FineArtAmerica. Seoul Olympics 1988. Travel Photography by @TravelNotesPhotos With the South Korean Winter Olympics coming to a close, here's a look back at one I made earlier. #Korean #cameraman with traditional hat to protect himself from the sun while filming the tennis at the 1988 #Olympics in #Seoul, #SouthKorea. #visit_korea #tennis #travelphotography #travelwithme #instatravel #passporttoasia #lifewelltraveled #seetheworld #explorekorea #exploreasia #candid #JustGoShoot #filming #onlocation #travel #TravelNotesPhotos #planetwanderlust #travelnotes #travelphotos #worldnomads #travelpics available on #EyeEm, #Picfair and #FineArtAmerica.